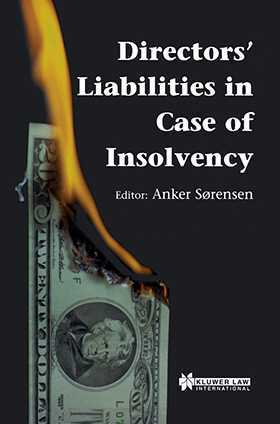 The rise in the number of cross-border transactions and large insolvencies in free-market countries has brought director liability to the foreground, most notably regarding positions that span multiple jurisdictions and do not involve an active role in management. Directors must be aware of the rules applicable in the countries in which they hold positions, especially where their companies face financial difficulties or insolvency. Numerous differences in the law exist, even between countries close in proximity and those which speak the same language and share the same legal history. The cost of failure to conform to applicable laws may be dire. the instructions imposed on public prosecutors by governmental bodies. This book navigates these complexities, making the rules accessible for the reader. It sets out fact patterns which trigger liability in various jurisdictions and offers helpful real-world recommendations in a lucid, straightforward manner. The chapters follow the same basic frame and guidelines for ease of comparison. Lawyers and business people alike will appreciate this clear, practical guidance in a particularly challenging area of the law.